Impressive architecture, historic landmarks, enticing food, rich culture and heritage, bustling markets, a vibrant nightlife, abundant green spaces and cosmopolitan vibe are just some of the highlights of Bangalore. Another is that it is surrounded by many beautiful day-trip options that will leave lovers of culture, adventure and nature spellbound. So, for those looking to get away for the day, here are some of the best destinations for you. 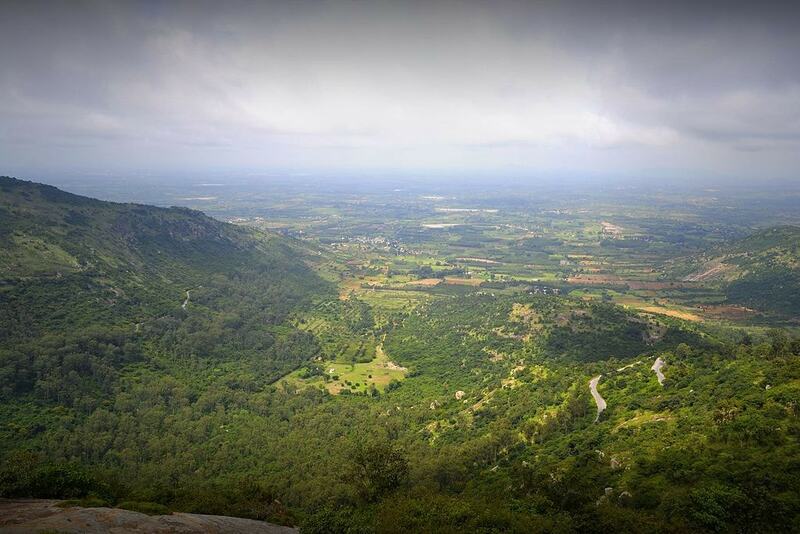 Located 38 miles from Bangalore, Nandi Hills is one of the most popular day trips from the Garden City owing to its salubrious weather year-round. Be it a one day trip from Bangalore, a scenic road trip or a retreat into the hills, this spot caters to all the needs of the Bangaloreans. The best time to visit is early morning to soak in the ethereal view of the sunrise from atop the hill. Besides the breathtaking sunrise, you’ll also find religious sites, like Nandi Temple, Yoganandeeshwar Temple and Nandishwara Temple; historical structures, like the Nehru Nilaya that boasts British architectural style, and Tipu’s drop that stands at an elevation of 600 meters atop a cliff and offers a panoramic view of the city. The hills are also known for a diversity of birds, making it a paradise for bird lovers. With a mesmerizing landscape, it beckons adventure enthusiasts, who can indulge in a range of activities, like paragliding, trekking and biking. 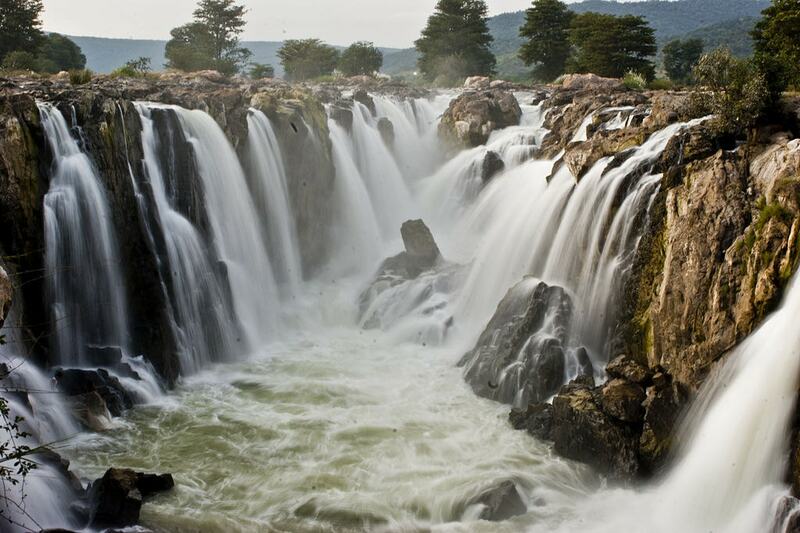 Shivanasamudram nestles on the banks of the Kaveri River, and is known for its segmented waterfalls. Fed by the Kaveri river, the water gushing down from a magnificent height of nearly 100 meters is split up into multiple streams. The eastern branch is referred to as the Bharachukki Falls, and the western is called Gaganachukki. To reach the falls, you need to trek on a rocky terrain, surrounded by lush greenery and scenic vistas. A coracle ride is also available here. Located three hours away from the Garden City, Bheemeshwari is suited to adventure fanatics, nature lovers and wildlife enthusiasts alike. It offers a plethora of trekking trails, camping, fishing and boating facilities. The trekking trails vary from easy to moderately difficult. There are also has a great number of birds, and a wildlife sanctuary that is home to exotic wildlife, including leopards, wild boars, jackals, etc. An hour and a half drive from Bangalore will put you in the lap of Asia’s largest monolith hill, Savandurga, which rises to an elevation of 1266 meters above sea level. It consists of two hills: a black hill, called Karigudda and the white hill, called Billigudda. You can go rock climbing or trekking here. Be sure to visit the Narasimha Swamy temple and Savandi Veerabhadreshwar temple nestled at the base of the hills. And, also keep your eyes peeled for yellow-throated bulbuls, white-backed vultures, long-billed vultures, sloth bears and other wildlife. 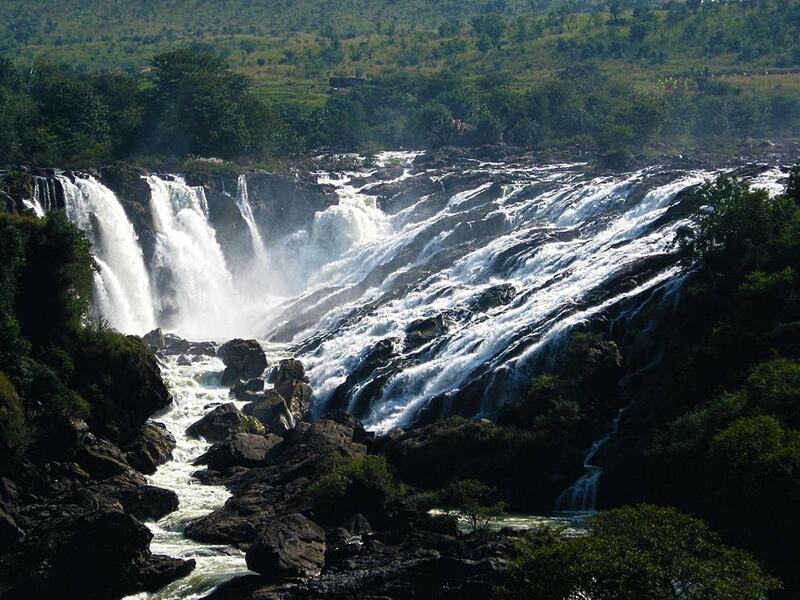 A three hour drive from Bangalore will lead you to the Hogenakkal Falls, also referred as the ‘Niagara Falls of India’. Hogenakkal literally translated to ‘smoking rocks’ and that perfectly describes this falls. Fed by river Kaveri, the water gushing down the rocks is like white smoke – a sight to behold. The best way to soak in the beauty is by taking a coracle ride. However, avoid the monsoon season (roughly June until September) as the waterfall is ferocious and also boat rides are not allowed. The elevation of this fall is not high, just 20 meters, but in spite of this it is totally worth a day trip. Antaragange glorious hillocks and caves are just an hour and a half drive away from Bangalore. Literally meaning ‘Ganges from the deep’, Antaragange is characterized by dense plantations, caves and hills made of boulders and volcanic rock. So, if you’re looking for an adventurous day trip, this is the place to be, where you can indulge in spelunking, trekking and rock climbing. Be sure to visit the Kashi Vishweshwara temple in the area. Located about 114 miles west of Bangalore, Hassan is brimming with ancient monuments and intricately carved temples that can all be explored in a day. You can either reach Hassan by train from Bangalore or drive via NH75. 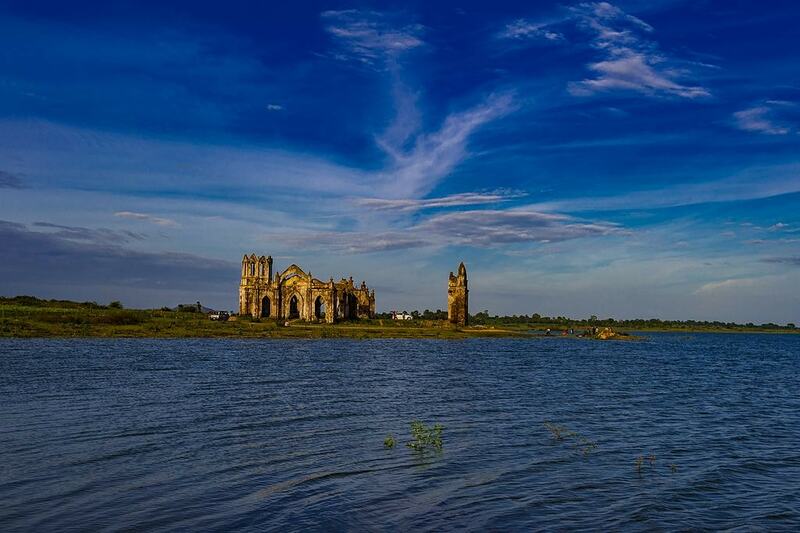 One of the must-visit spots is the Gothic style Shettihalli Rosary Church that is said to be partially immersed in water from July until October – a sight to behold. Other highlights include Dravidian style Hasanamba temple, Hoysala temples and Gorur dam. Not far from Bangalore lies Ramanagara, brimming with hills and surreal rock formations – an idyllic spot for rappelling and trekking. This place also has many temples and is home to several bird species, like the yellow-throated bulbul, Egyptian vulture and long-billed vulture. 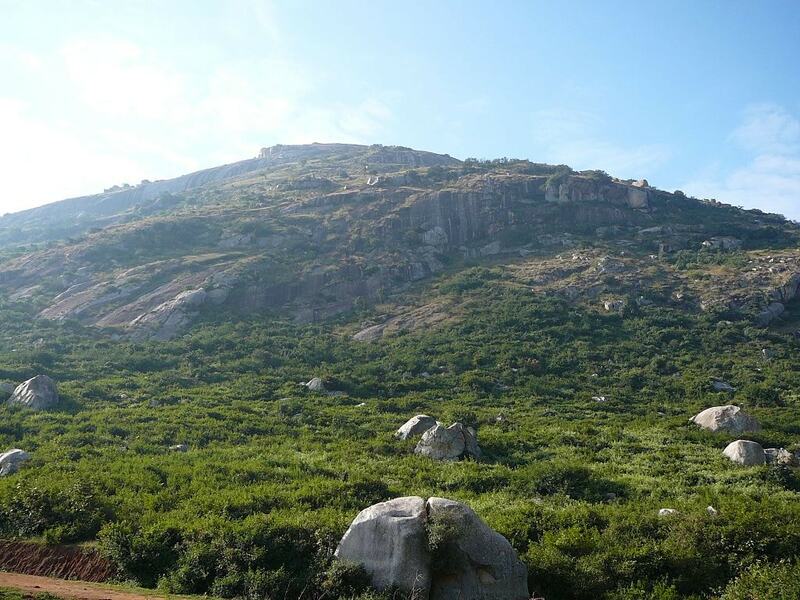 Skandagiri is a mountain fortress situated within an hour’s drive of Bangalore. Also, referred to as the Kalavara Durga, it is located at an elevation of 1450 meters and you have to trek to reach this fortress. 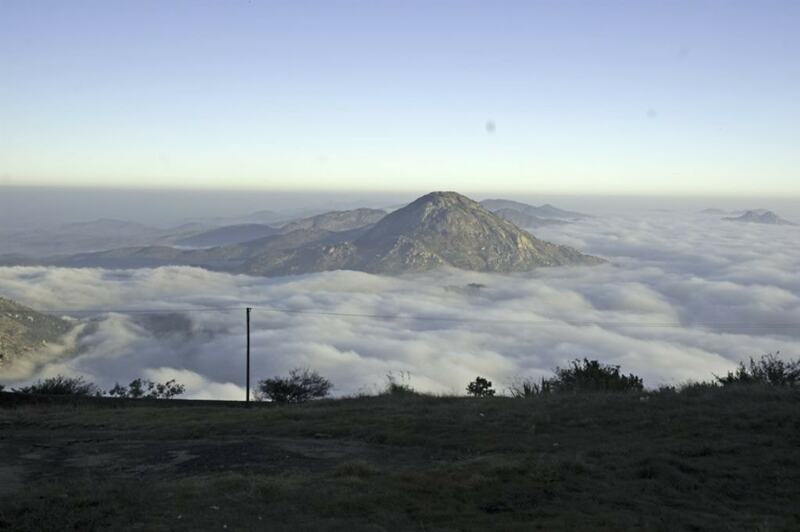 Once you reach the summit, you’ll be greeted by the breathtaking vistas of the serene Nandi hills and the nearby villages. The trek is moderately difficult, so needs to undertaken with the aide of a certified guide. You can book the trek at the Skandagiri Forest Reception Counter, which is located at the base of the hills. The fee is INR 450 ($6.95) per person, inclusive of the guide. 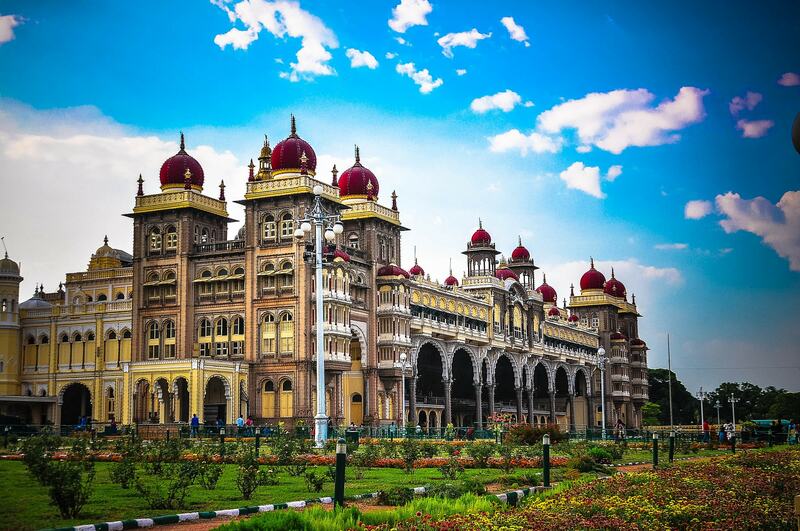 Mysore, approximately 3.5 hours drive from Bangalore, is popular for its grandiose architecture. The city is rife with ornate temples, palaces and gardens that can all be covered within a day. The major highlights include the majestic Saracenic style Mysore Palace and Jaganmohan Palace, Mysore Zoo that is home to 168 species of animals, and Brindavan Gardens that is brimming with colourful flowers and plants. Be sure to sample the city’s traditional sweet – Mysore Pak.